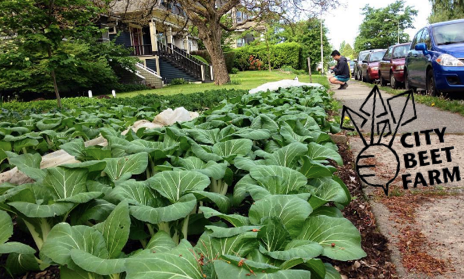 We are two best friend farmers growing veggies and flowers for CSA members on lawns in Vancouver, BC. We trade land for vegetables and are supported by a network of homeowners. We care deeply for the soil and are ecstatic about feeding the people we love.